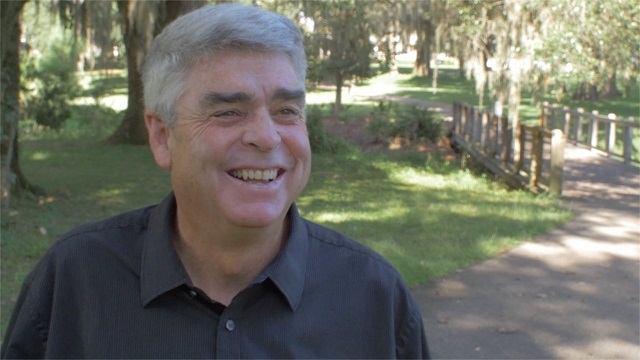 Dale Allen on the Southwood Trail in Tallahassee, Florida. The goal? Link most of Florida's urban areas together by paved trails. The plan? 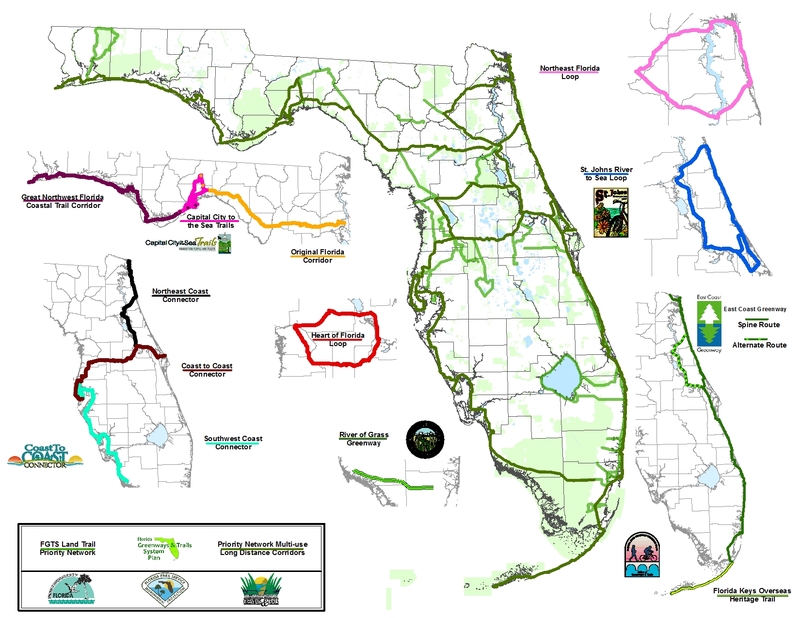 2,000 miles of Florida's Top 10 regional connector trails. Think C2C, SW Coast Connector and Heart of Florida Loop. To hear the latest updates on this statewide system of trails and see them up close, mark your calendar for Wednesday, December 10. 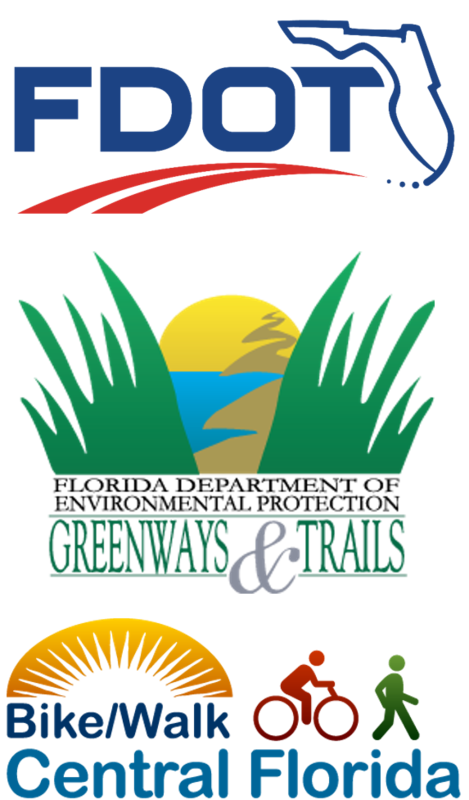 That's when Dale Allen, President of the Florida Greenways & Trails Foundation, and Doug Alderson, Assistant Bureau Chief for the Office of Greenways and Trails will present a webinar on the state's progress in connecting long distance regional trails across Florida. Details are below, and you must register in advance to secure your spot. Want paved trails as a part of Florida's future? Talk to your local elected officials and state representatives between now and the start of the 2015 legislative session on March 3. Why? 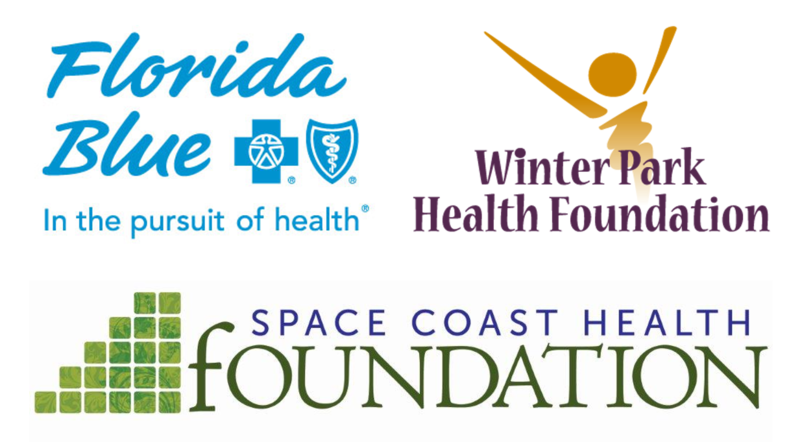 Because connecting local, community trails to the state's priority regional trails such as the Coast to Coast and NE Coast Connector is the best way to qualify for the state funds dedicated by the recent passing of the Florida Water and Land Conservation Amendment (Amendment 1). The Office of Greenways and Trails has estimated that Florida's top 10 regional trails can be completed for about 10% of the Amendment 1 funds over the 20-year life-span of the Amendment. These trails would link most of the population centers of Florida to a vast number of state parks, regional parks and many of Florida's conservation lands. This completed system will not only introduce tourists to these unique areas and promote the economies of rural communities connected to these trails, but also provide year-round enjoyment and safe travels for Florida residents. This is an amazing opportunity for Florida trails. Contact your State Senator and State Representative and let them know you want to see state funding for multi-use trails! Not interested? Unsubscribe from our list.